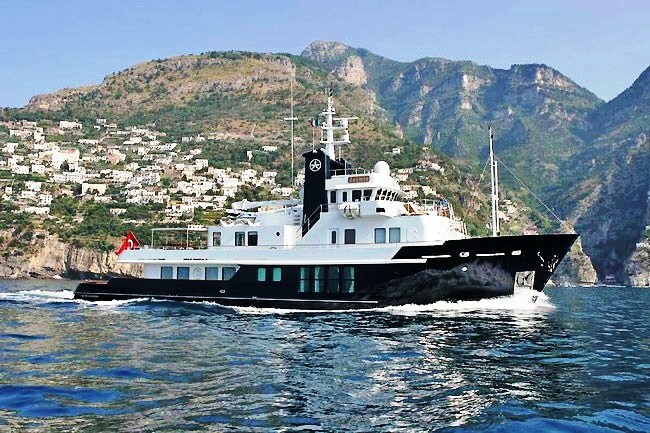 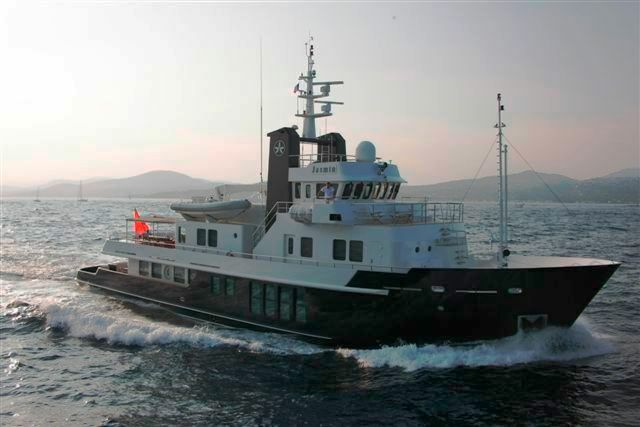 The luxury explorer vessel JASMIN was designed for charter. 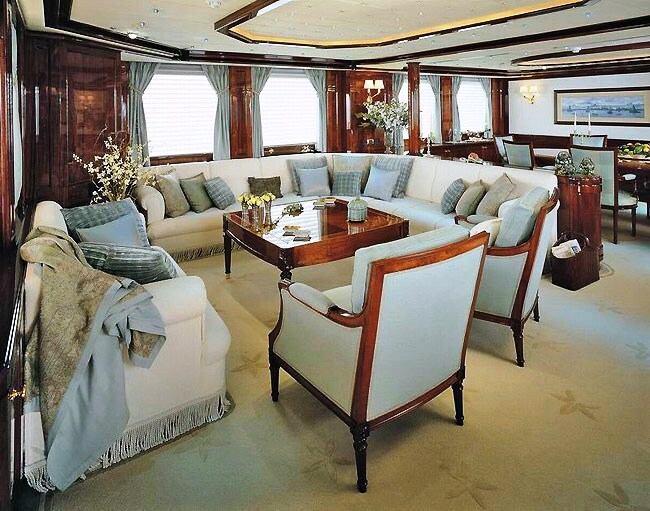 M/Y JASMIN’s main saloon and dining area features elegant refinement with antique armchairs, silk cushions, custom carpets, rich varnished-wood panelling and columns to the spacious teak-laid decks. 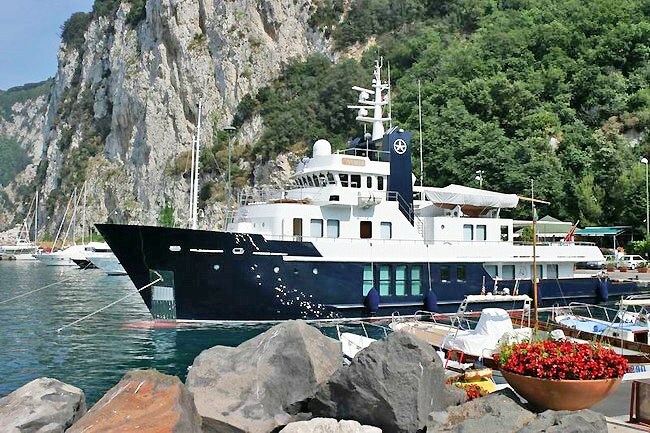 Superyacht JASMIN accommodates up to ten guests in five staterooms including the master suite, which is located on the main deck and is approximately 45 square metres featuring a king-size bed and his and hers bathrooms. 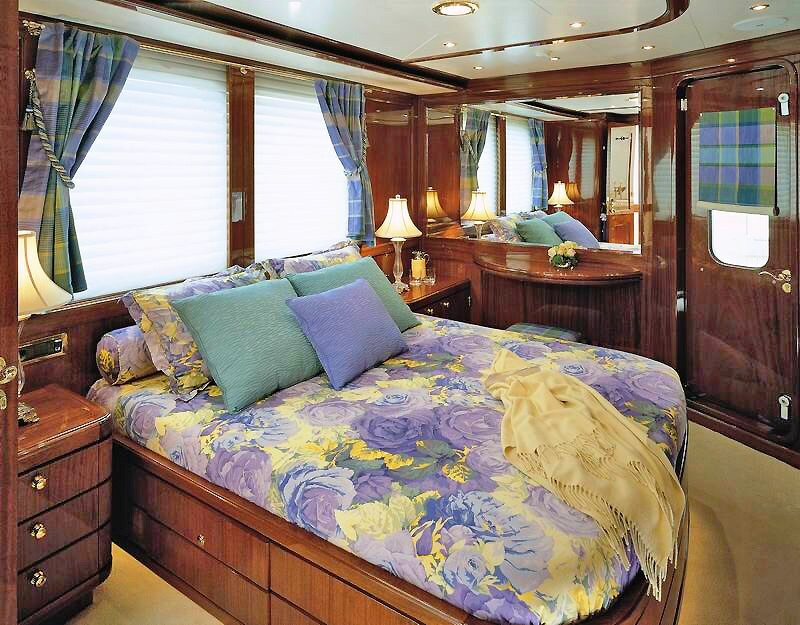 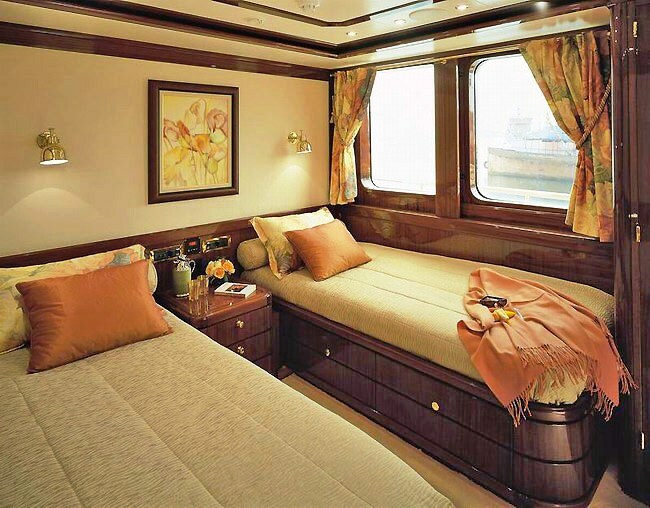 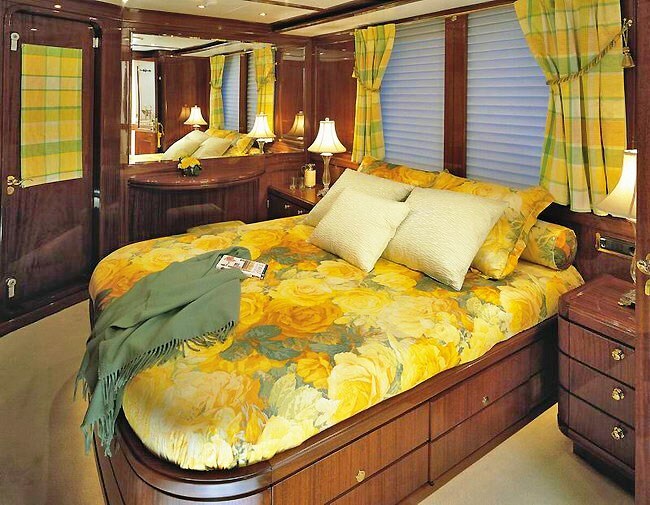 On the upper deck are two VIP cabins with queen-size beds and two twin-bedded guest cabins. 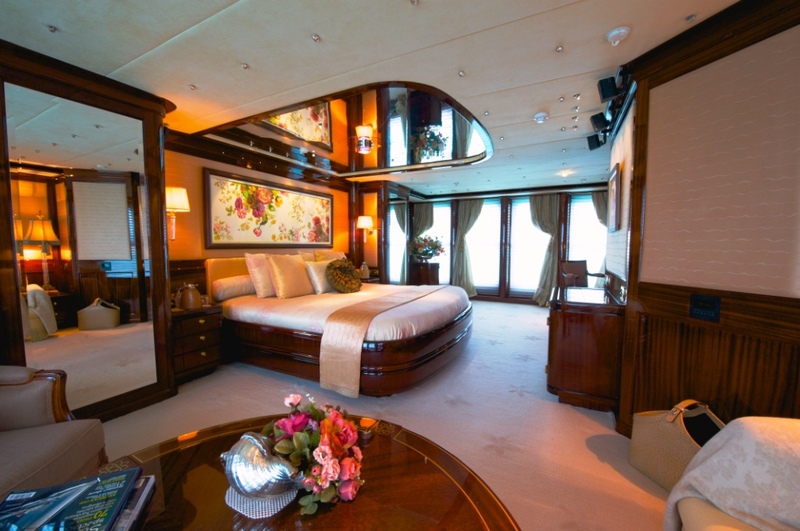 The windows in the VIP cabins can be opened, offering the possibility of fresh air at any time. 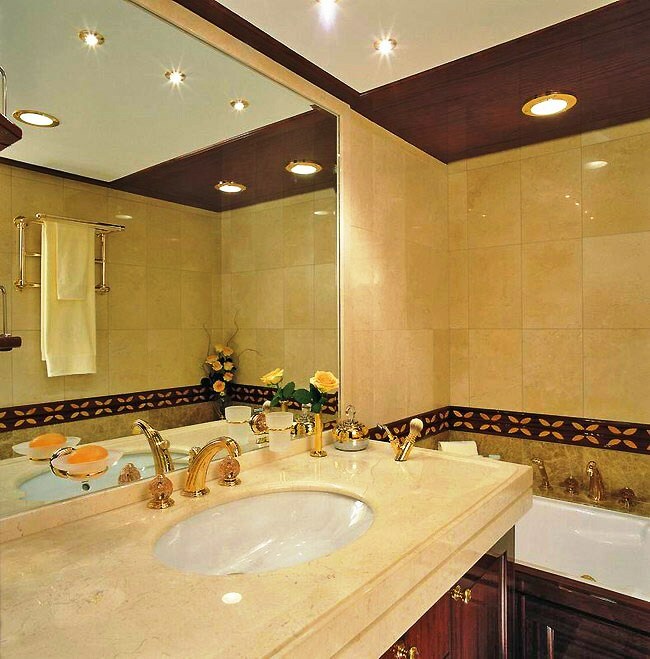 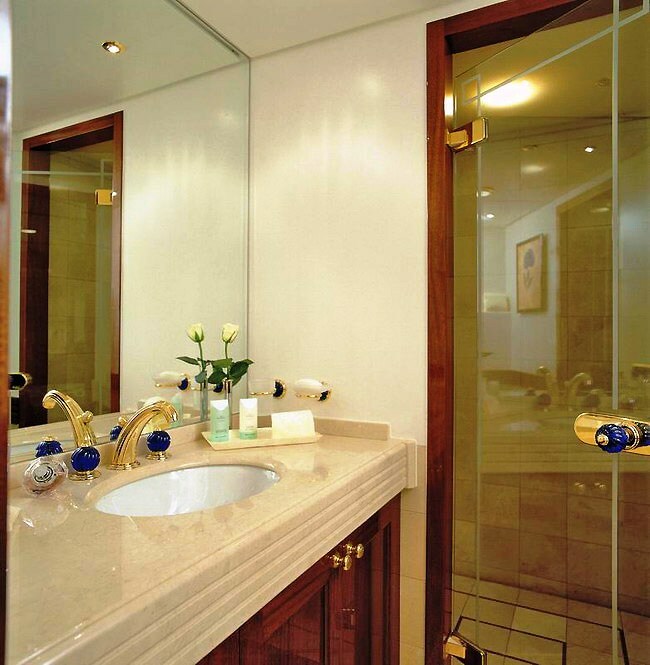 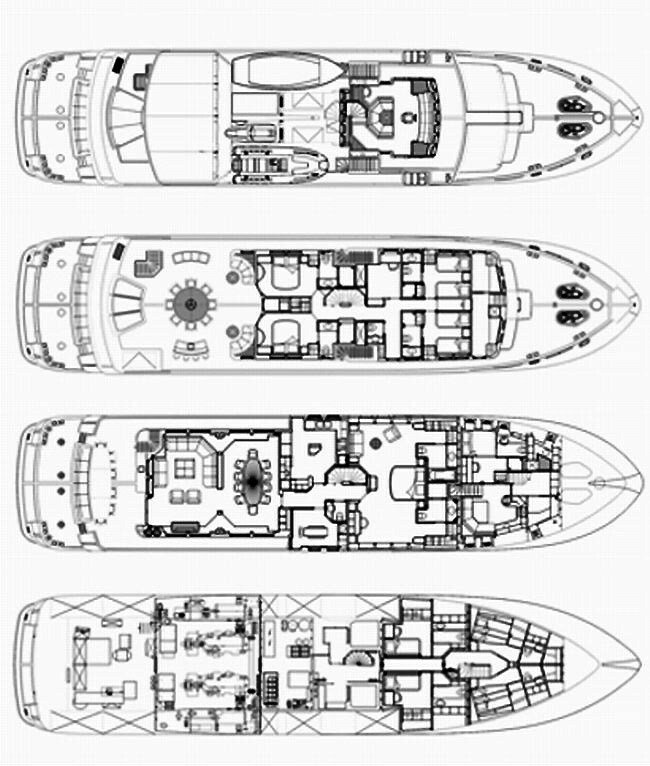 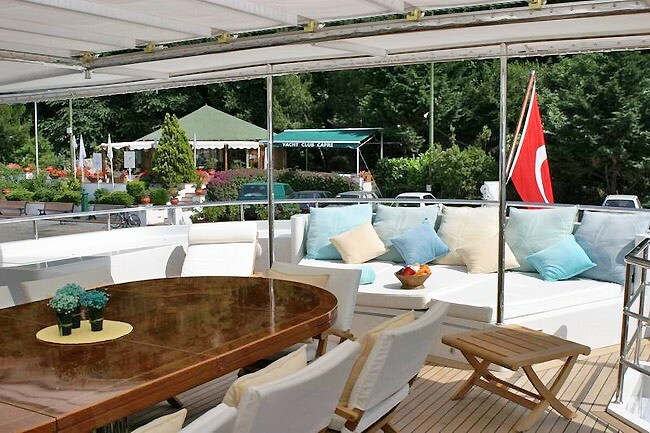 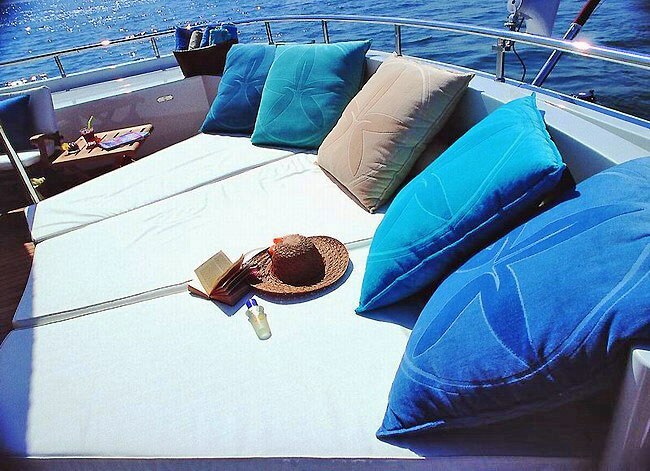 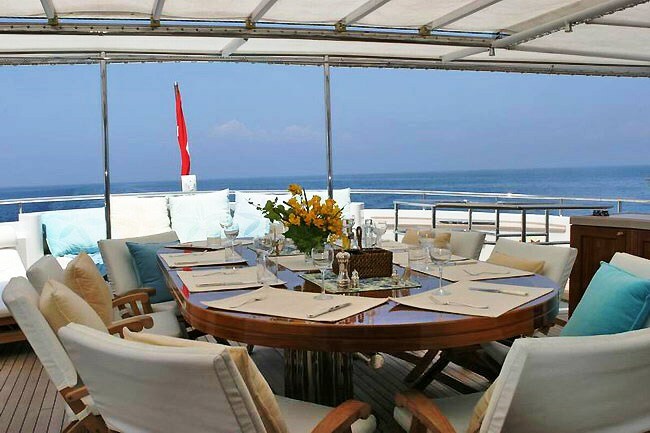 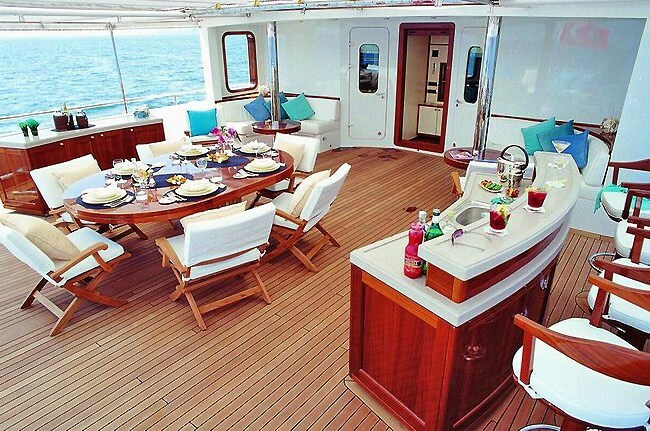 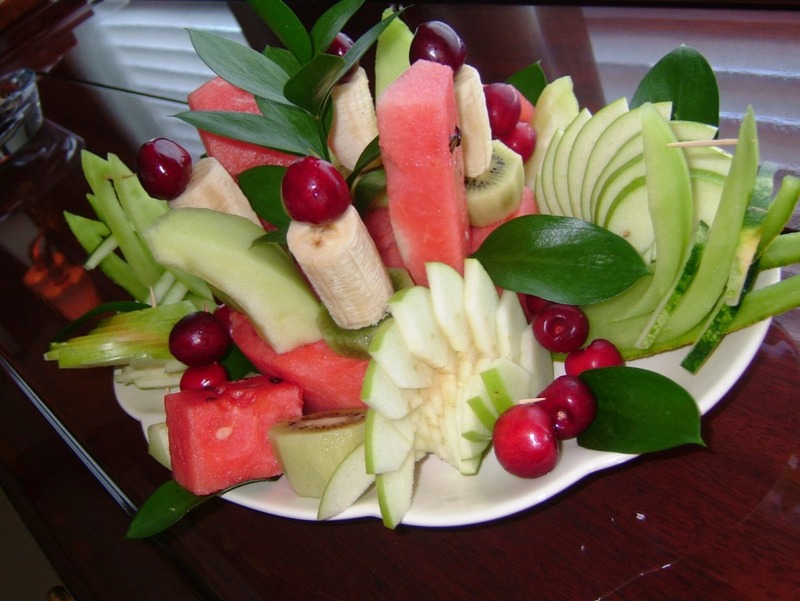 Luxury charter vessel JASMIN has well-appointed deck areas offering a range of possibilities. 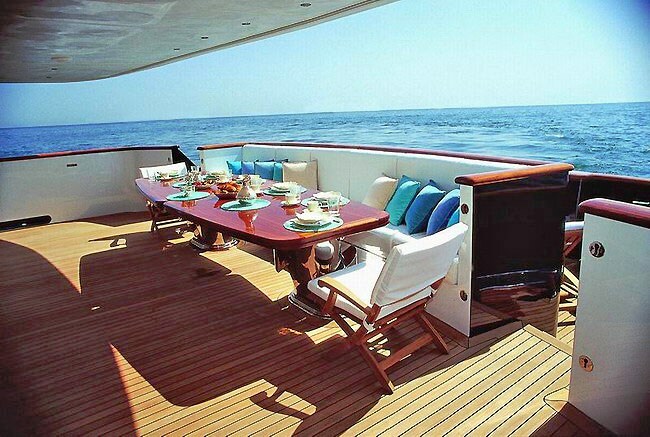 Sun worshippers are able to relax in front of the bridge, on the upper deck or in the aft cockpit. 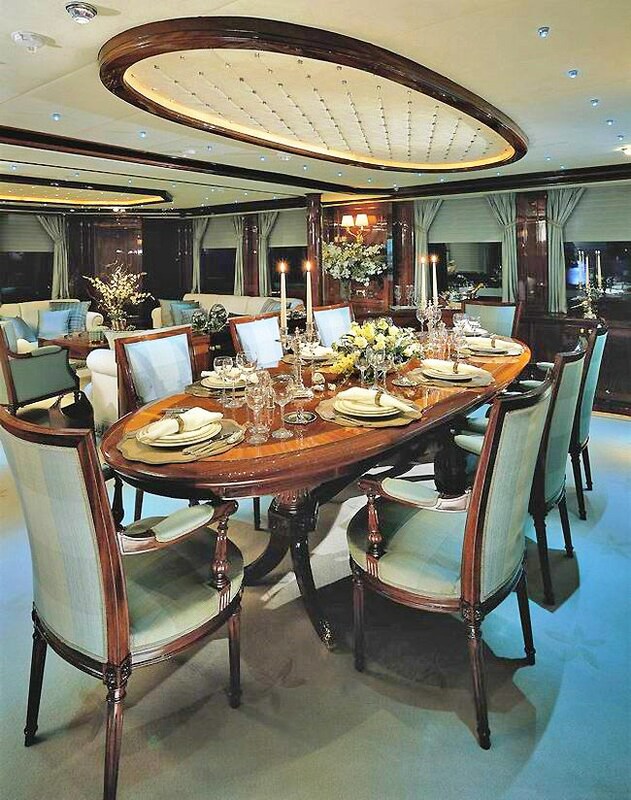 Dining is possible on the upper deck and on the main deck levels, while water sports can be enjoyed in safety and comfort from the aft cockpit. 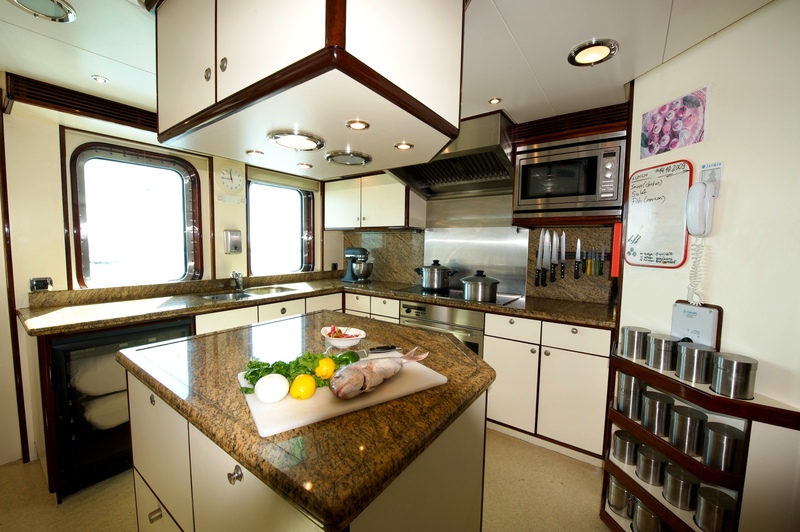 The expedition motor yacht JASMIN is equipped with the latest Audio Visual Equipment including a Bose home theatre in the main saloon and master suite. 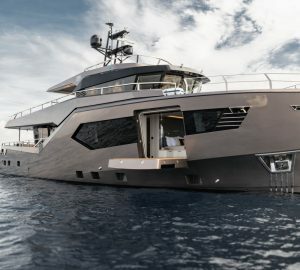 Each cabin has audio-visual equipment with access to 5,000 hours of music via the yacht's central system and each cabin is also equipped with DVD players.